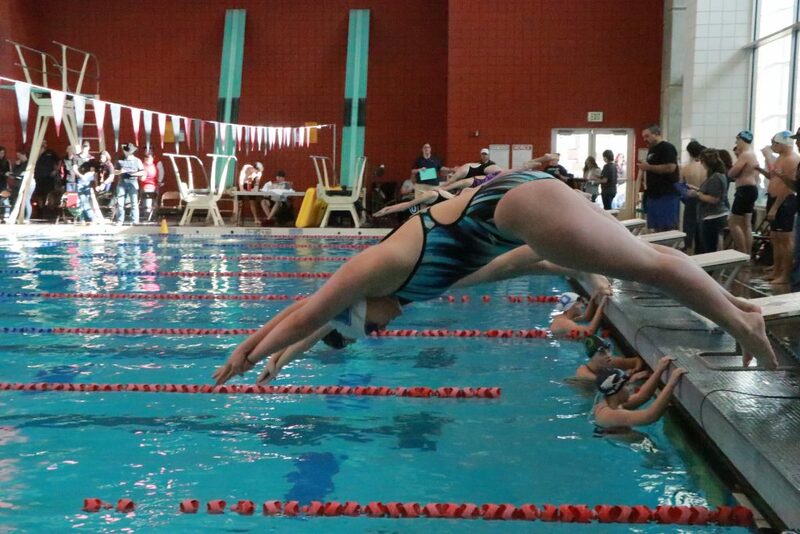 CEDAR CITY — More than a dozen swim teams, including those from six Region 9 schools, competed in the Canyon View Invitational Friday and Saturday on the Southern Utah University campus. 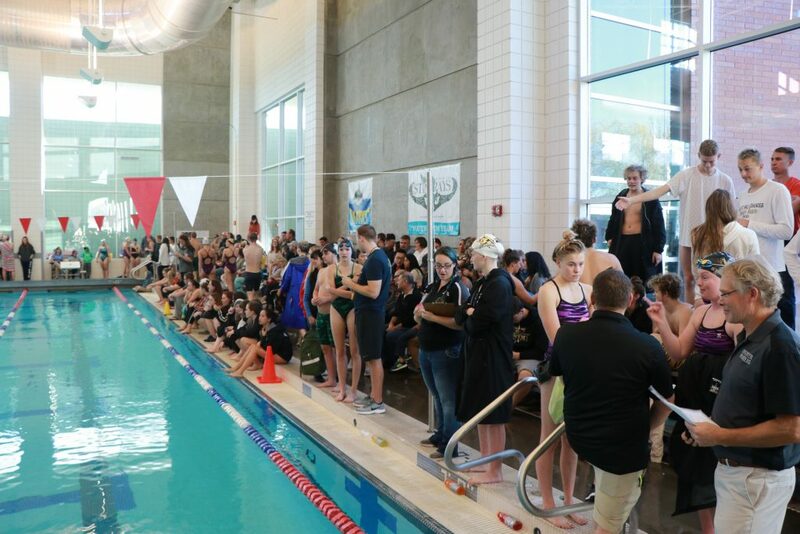 Even though they hadn’t competed in nearly a month, the Desert Hills Thunder posted dominant wins in both the girls and boys categories. The Lady Thunder’s team score was 443 points, while Snow Canyon High of St. George and Highland High of Salt Lake City each tied for second place with 242 points. The Desert Hills boys won with a team score of 385 points, while runner-up Juan Diego Catholic placed second with 299. Cedar High was third with 291. 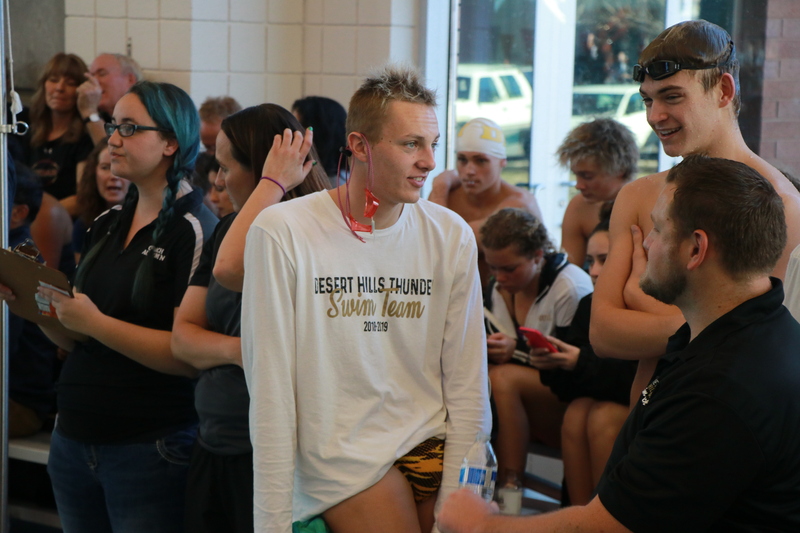 Desert Hills not only swept all three relays in both the girls and boys categories, they won or placed highly in numerous individual events. Following is a short summary of some of the meet’s top individual performances, highlighting Region 9 athletes. Payton Plumb, a junior at Desert Hills, won the boys 200 freestyle race with a time of 1:46.31. Cedar’s Wyatt Kjar placed third in the same event with 1:51.05. 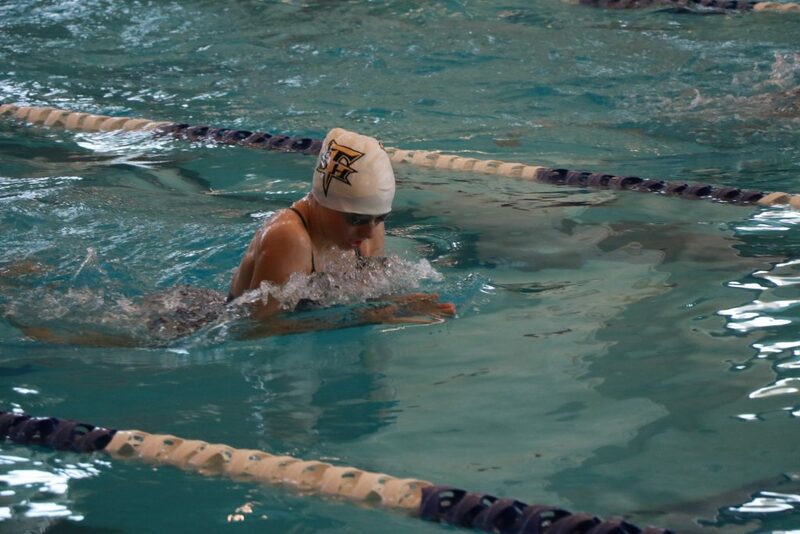 Kjar was also the top finisher in the 500 freestyle, posting a time of 5:00.11. 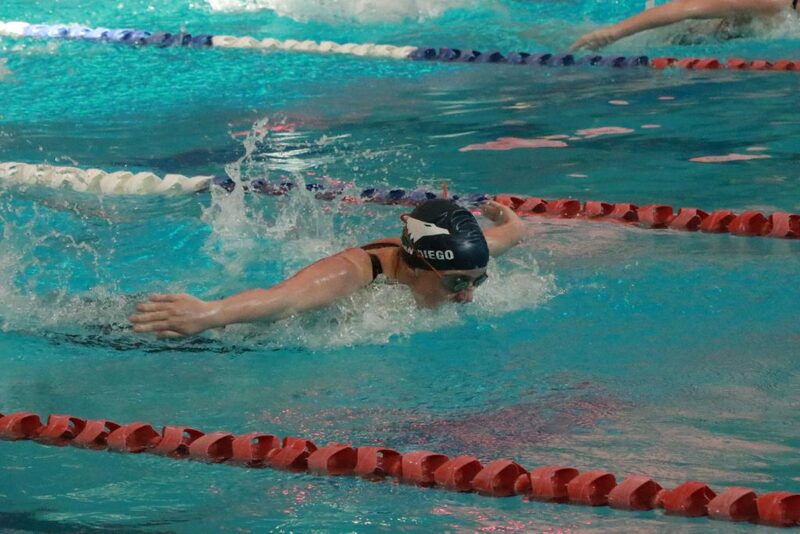 Plumb also won the 100 backstroke in a time of 51.68. His DHHS teammate Ashton Anderson placed second in 56.00m and Cedar’s Carson Brown was third in 57.22. In the boys 200-yard individual medley, Gavin Crawford of Desert Hills placed second in 2:08.73, less than a second behind winner Braxton Armstrong of Springville. Canyon View’s Maxston Cannon placed third in 2:09.32. 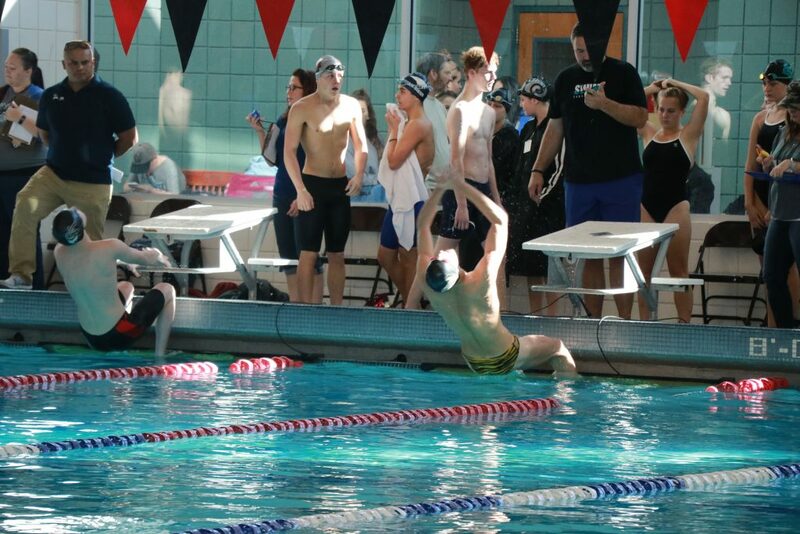 Region 9 swimmers posted the six fastest times in the boys 50 freestyle, with Desert Hills sweeping the top three spots and Cedar taking fourth through sixth place. Keegan Wawrzyniak place first with a time of 22.27, narrowly edging teammate Anderson (22.36) by less than a tenth of a second. Christian Rettie of DHHS placed third in 22.82. Cedar’s top three finishers were, in order, Carson Brown (23.00), Leon Weingartner (23.14) and Chandler Twitchell (23.47). 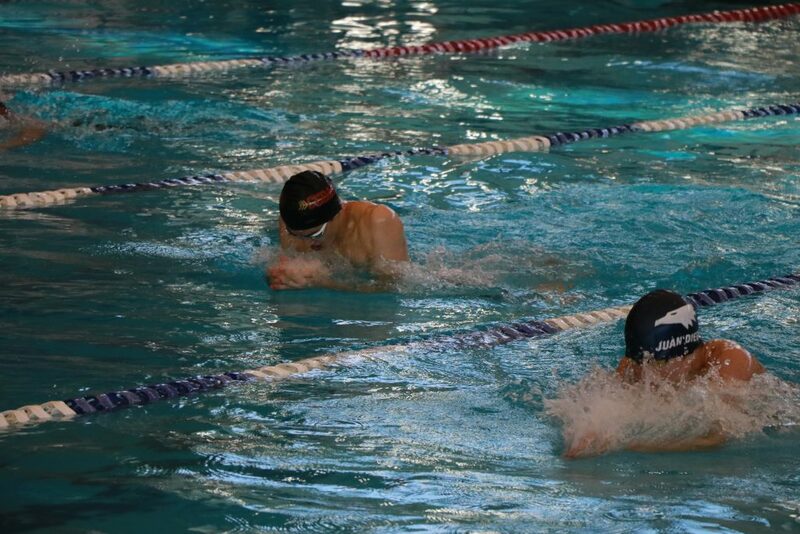 More than 110 swimmers competed in the boys 50 free race. Wawrzyniak also won the 100 freestyle event, posting a time of 48.85. His DHHS teammate Hyatt Iverson placed third in 51.65, while Dixie’s Kage Allen finished sixth in 52.29. Gavin Crawford of Desert Hills placed fourth in the 100 butterfly with a time of 56.26. Cedar’s Chandler Twitchell placed fifth with a time of 1:00.01. 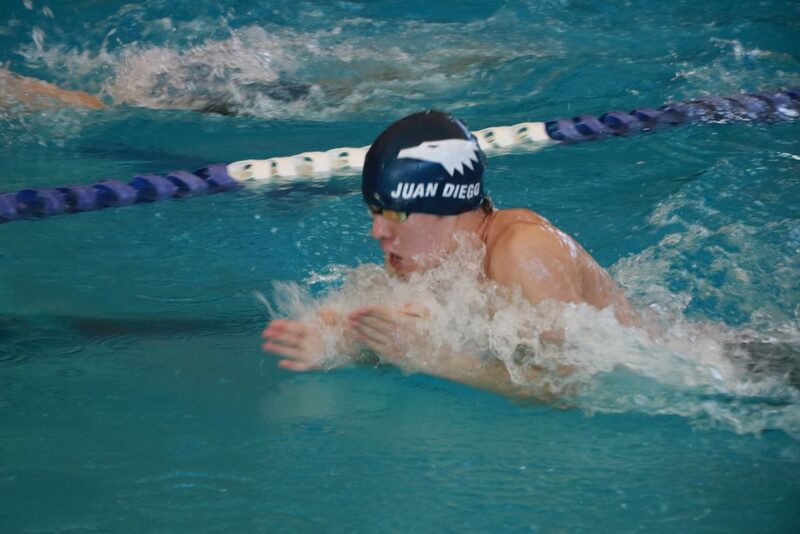 Winning the 100 butterfly race was Juan Diego junior Alexander Gustat, who had a time of 53.49. 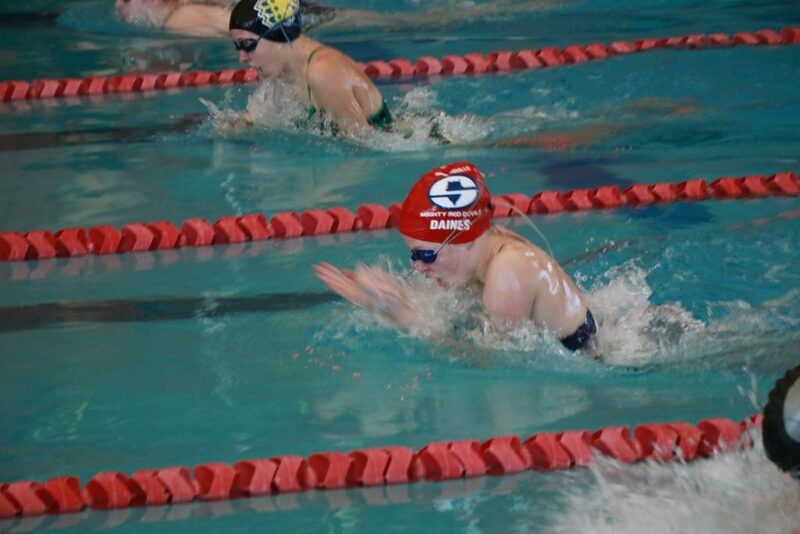 Gustat later won the 100 breastroke in a time of 1:00.31. Cedar’s Weingartner placed second in the 100 breast with a time of 1:02.18, while his teammate Reuben Dotson took third in 1:04.57. Grant Gibbs of Snow Canyon was fourth in 1:07.78 and Iverson of Desert Hills was fifth with 1:08.40. In the girls 200 free, Juan Diego’s Abby Whittington won in 2:01.43, followed closely by Cedar’s Elisa Price (2:03.11) and Desert Hills’ Trinity Schimbeck (2:03.30). Jessica Davenport of Canyon View placed fourth (2:07.41). Sarah Hansen of Desert Hills took second in the girls 200 IM with a time of 2:21.12, while teammate Taylor Porter placed third in 2:22.83. Nicole Christensen was fourth with 2:24.52. Hansen also posted a winning time of 1:11.73 in the 100 breast, with teammate Madison Dunlavy taking second in 1:12.18. Kyleigh Messinger of Pine View (1:14.87) was fourth and Porter of Desert Hills (1:16.54) finished fifth. Mya Ottenschot of Desert Hills won the girls 50 free in a time of 25.96, while Canyon View’s Jesilyn Anderson placed second in 26.52. Also placing among the top 10 in the event, which attracted more than 140 swimmers, were Cedar’s Siena Osborn, who took fourth in 26.86, Dixie’s Hailey Greer, who placed sixth in 27.45, and Desert Hills teammates Kara Weiland (27.56) and Maggie Dunham (27.72), who placed seventh and eighth, respectively. Desert Hills’ Caitlin Romprey placed second in the girls 100 butterfly with a time of 1:02.91, only .06 of a second behind Juan Diego’s Whittington, who finished in 1:02.85. Snow Canyon’s Cambira Callaway placed fourth in 1:06.05, Cedar’s London Richards was fifth in 1:08.09 and Pine View’s Erynn Swinson was sixth in 1:11.70. 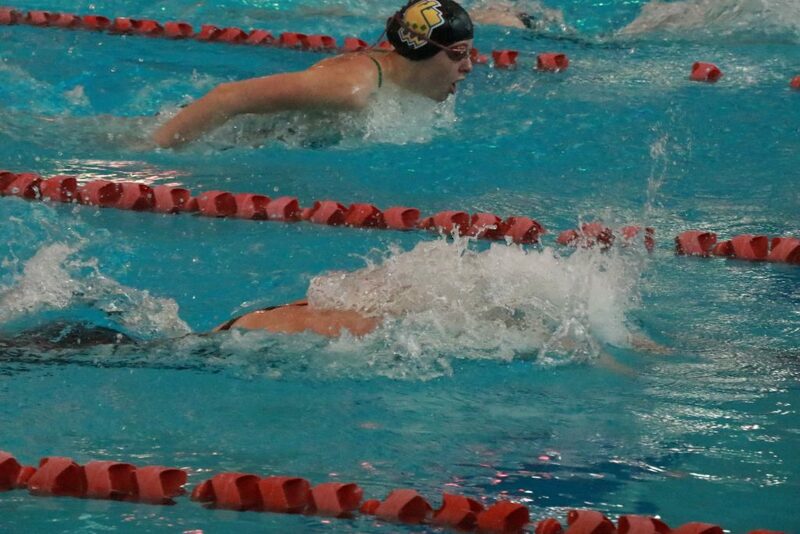 In the 100 free, the Snow Canyon girls swept the top three spots out of nearly 90 competitors. Kylie Barber won in 56.42, Callaway was second in 56.71 and Christensen was third in 57.38. 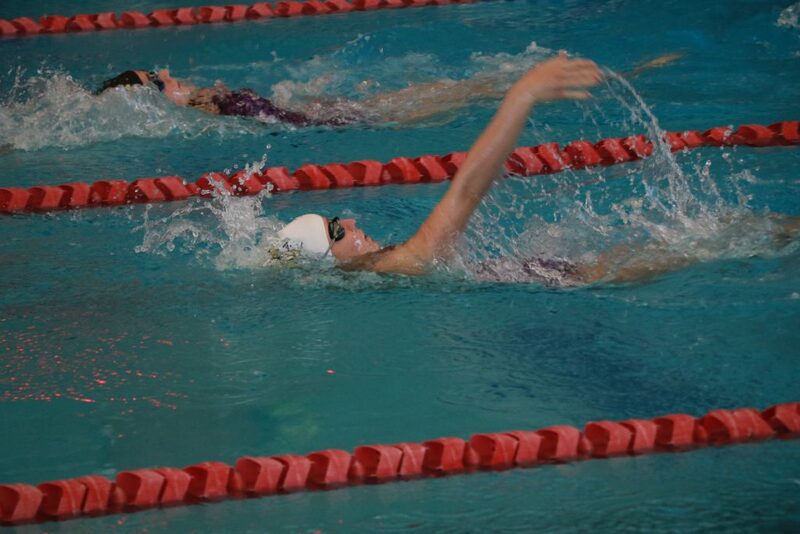 In addition, Schimbeck of Desert Hills placed fourth in the 100 free with a time of 57.51. Mykela Hansen of Desert Hills won the 500 free in a time of 5:41.71. Dixie’s Greer was second in 5:52.01, Desert Hills’ Hallie King was third in 5:53.25 and Snow Canyon’s Silvia Leon-Moreno and Ryleigh Foggin placed fourth and sixth, respectively. Hurricane, the only Region 9 school that didn’t attend the Canyon View Invitational, instead traveled to Moab and competed in Grand County High’s invitational meet. The Hurricane Lady Tigers placed first as a team, while the HHS boys took third, behind Millard and Grand. 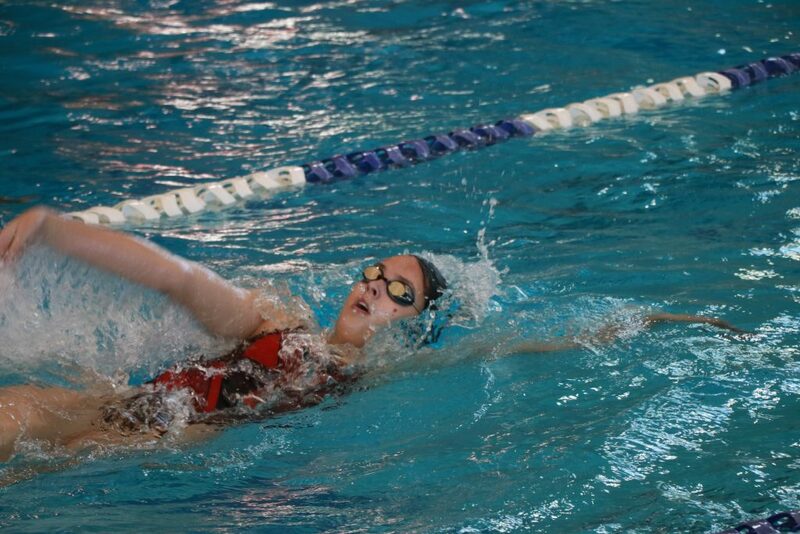 Canyon View High also recently hosted a meet on Nov. 20, and Cedar High hosted one at the Cedar City Aquatic Center Nov. 9-10. Coming up, Desert Hills is scheduled to host its own invitational meet Dec. 14 at the Washington City Community Center. Jeff Richards, a native of Salt Lake City with family roots in Panguitch, lived in Moab for 20 years before joining St. George News. He covered news, features, and sports as a part-time reporter for the Times-Independent, Moab's weekly community newspaper, and has contributed stories and photos to various other media outlets. He also taught high school English, journalism, and computer classes for 12 years, and was the school's yearbook and student newspaper adviser. He and his wife Penny are the parents of five daughters, and also have two young grandsons. Jeff and his family enjoy swimming, camping, sightseeing, reading, and taking pictures.